DroidDosh.com - How to Root Samsung Galaxy J2 Prime SM-G532F/SM-G532G/SM-G532M. The Galaxy J2 Prime runs on Android 6.0 Marshmallow and comes with the usual Samsung bloatware which every user want to get rid of. Rooting your Galaxy J2 will give you Superuser permissions with which you can perform advanced operations. So, you will be able to edit and remove system files, apps, and other bloatware to make your device faster. As the device is running on Marshmallow firmware, you can enjoy the benefits of Xposed framework once you are rooted. 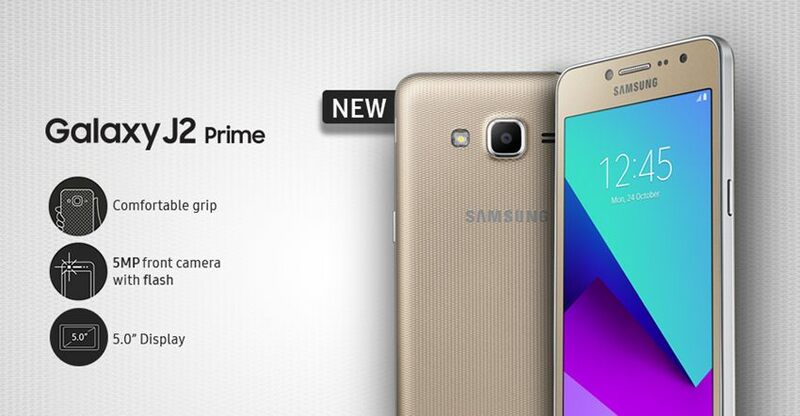 So, in this article, we will see how to root Samsung Galaxy J2 Prime SM-G532F/M/G. Rooting process is highly custom and involves certain risks. Root your Samsung Galaxy will void its warranty. If your device has a Knox counter on the Bootloader, rooting it will trip the counter and you won’t be able to reset Knox after that. In case of any mishap, DroidDosh, Samsung or Chainfire may not be held responsible. Make sure that you are rooting your phone after understanding each and everything, and you are doing it at your own risk. You need to be on the below firmware version before proceeding with the root method. Download the Firmware file and install it using Odin Tool. Make sure you have enabled USB debugging and allow OEM Unlock on your device before proceeding further. Now, connect your device to PC using a USB cable. Right-click on the “ROOT-ENGLISH.exe” file then choose Run as administrator to open the executable file. You will see the below screen. If you have already installed the USB drivers, no need to install them again. Just type NO and press ENTER. Now your device will reboot to Download mode automatically and an Odin window will open on your PC. Click on AP button and select the root-boot.tar file. Click Start to continue flashing the file. Once the file is flashed, you will see a Reset text at the top-left side of the Odin window. The phone will reboot automatically. Do not disconnect the device yet. The script will run post installation steps on your device and will show a message “Your device is rooted”. Press ENTER and your device will be rebooted again. Once the device is rebooted, open the SuperSU app and update the binaries. If you want to unroot your device, just do a full unroot from SuperSU app. Then download and flash the stock-boot.tar in Odin instead of root-boot.tar. If you see a password at boot after the root process, you need to make sure you’re on the compatible firmware from Prerequisites. Then follow the root process again.